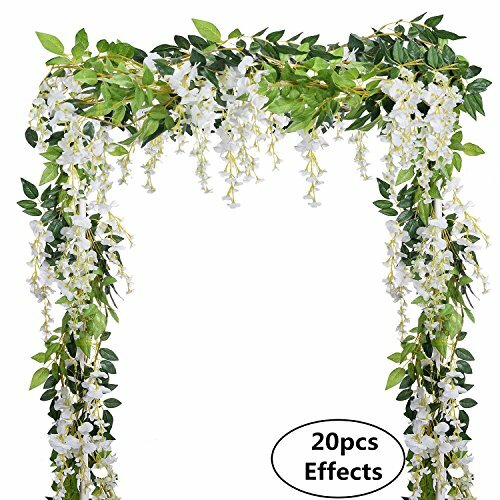 Wisteria is a symbol of love and happiness,Get beautiful for your big day like these artificial wisteria garland. 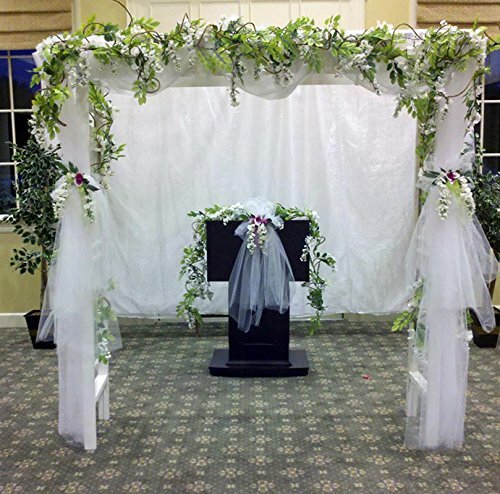 wisteria vine flowers create a romantic look that makes for a wonderful wedding! 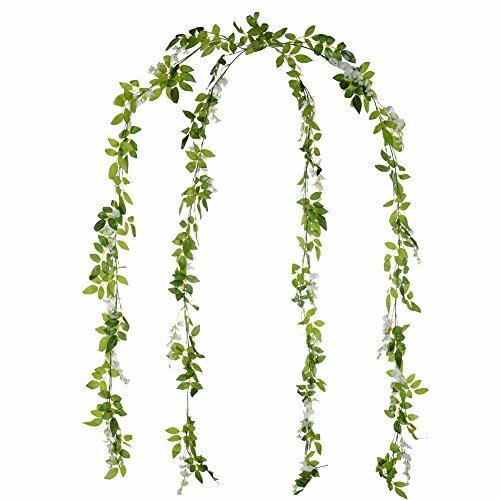 1.This silk wisteria is 2018 new upgrade wisteria,each piece wisteria garland include 10 shorter strings flower,thick silk flowers and leaves,perfect for wedding decoration, table arrangement or elegant home decoration. 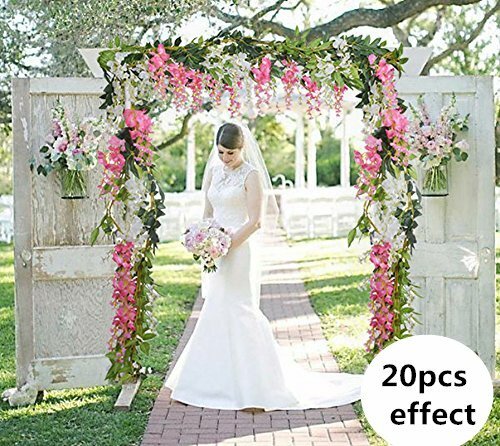 2.Suitable for weddings, hotels, parties as well as other ceremonies, best decoration for home, hotel and park, etc. 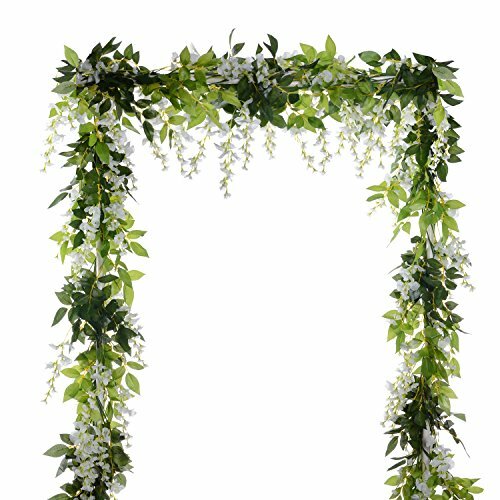 3.You can hang it on the wall, doors, swing, mirrors and anywhere as you like to enjoy with artificial leaves vine. 4.Perfect for wedding decoration, table arrangement or elegant home decoration, also suitable for outdoor. 1.These artificial flowers is completely handmade,flower heads and leaves may fall off during transport, you can plug it back tight by yourself. 3.Artificial flowers clean.General surface with a hair dryer blowing , or wipe with a rag. 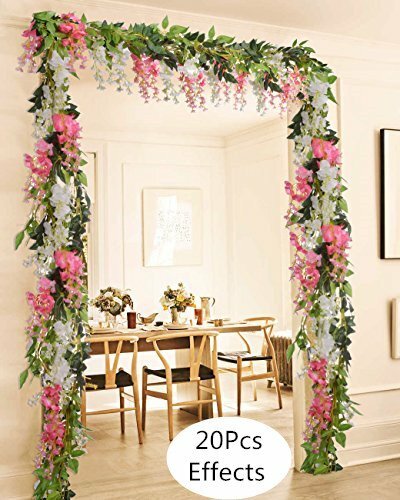 This silk wisteria is 6.6ft/2m in length,10 shorter strings each 0.7′,pack of 4,suitable for outdoor wedding ceremony decor,wedding hanging flowers decoration,spaces enough for decorating items you want to adorn life. Natural-looking flower,pure natural style,simple and elegant,vibrantly colored flower with vivid Ivy vine green leaf,looks and feel just like real flowers. 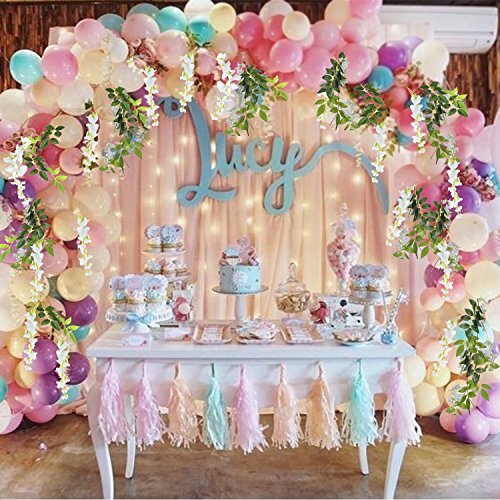 Artificial wisteria,wisteria is a symbol of love and happiness.they add color and fullness to wisteria vine arrangements,with create garlands and flower arches, beautiful wedding home party decoration. NOTE: Due to processing technology may have debris, those who mind please be cautious.